The final addition for the 10 years anniversary of Power of the Night festival are the Italian heavy metallers NITEHAWKS. 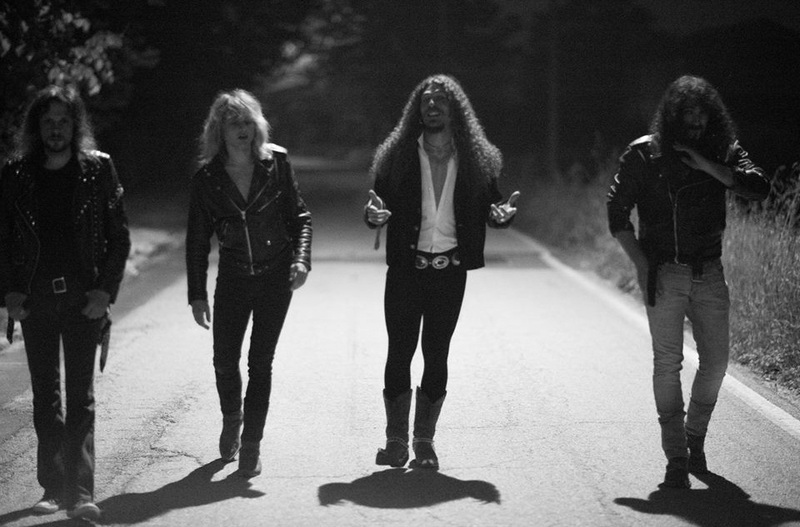 NITEHAWKS is an Italian Heavy Metal band formed in 2015. NITEHAWKS inked a deal with Skol Records, Polish label known from cooperation with acts such as TITAN FORCE, JAG PANZER, TYGERS OF PAN TANG or SAVAGE MASTER. The band was formed in 2015. Their debut album titled “Vendetta”, will be released on September 30, 2015, and will be available as CD and limited edition LP. NITEHAWKS deal in a style of Heavy Metal which mix up energy of so called “New Wave Of Traditional Heavy Metal” acts, such as ENFORCER or STRIKER, with classic song structures that were immortalized by ’80s Metal acts such as ACCEPT, RUNNING WILD or JUDAS PRIEST.